That unsung hero of the Cold War--the indestructible Kroger Company survival biscuit--is celebrated in photographs at the National Archives and Records Administration in College Park, Maryland. CONELRAD went there and scanned these ridiculous pictures so you wouldn't have to. 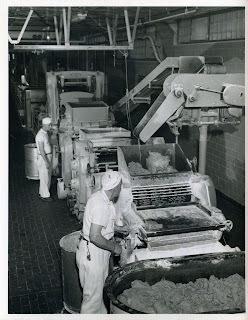 Text from the back of the still: February 23, 1962, Columbus, OH: Bakers at the Kroger, Co. prepare mixture to be used in the manufacture of All-Purpose Survival Biscuits for the Civil Defense Program. This is one of several baking companies contracted to produce biscuits which will be used by the Office of Civil Defense, Dept. of Defense to stock fallout shelters throughout the country. 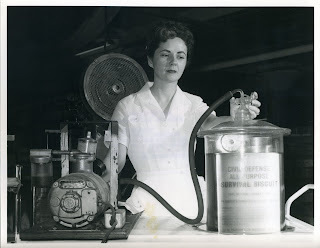 Text from the back of the still: February 23, 1962, Columbus, OH: Preparatory to shipment, a technician of the Kroger Company spot checks a hermetically sealed can of All-Purpose Survival Biscuits. 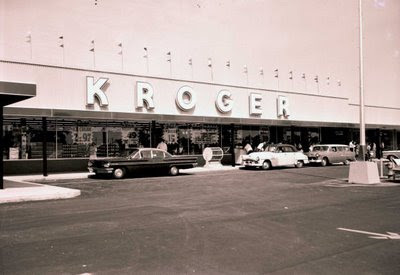 Kroger is one several baking companies contracted to produce biscuits which will be used by the Office of Civil Defense, Dept. 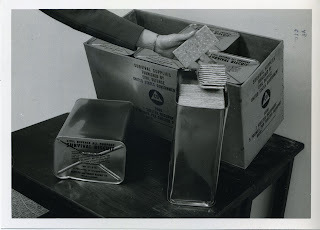 of Defense to stock fallout shelters throughout the country. A tin of All-Purpose Survival Biscuits arrives at Civil Defense Headquarters. 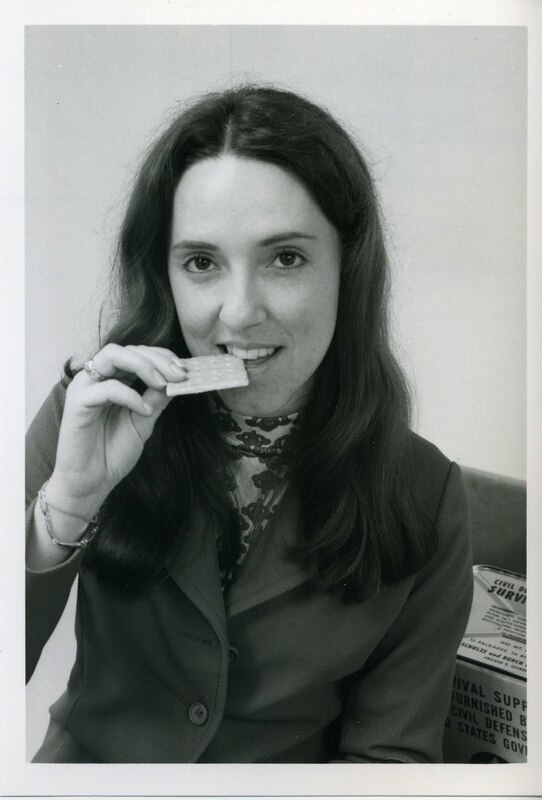 An unidentified government model takes a bite out of a Kroger-brand All-Purpose Survival Biscuit. The cycle is complete! I had three of these biscuits (dated 1962) tonight. I found them really pretty good! Not so much bland, but subtle. Bit of an aftertaste. No tummy troubles. Very dry, and we wouldn't have eaten them otherwise. For something designed to have a 5-year shelf life, they've lasted a good 50 past that. I'd eat them as a snack. We'll see how they do now that the seal has been broken. I'm storing the 17 leftover packages with dessiccant. I reccommend them plain or with jam.